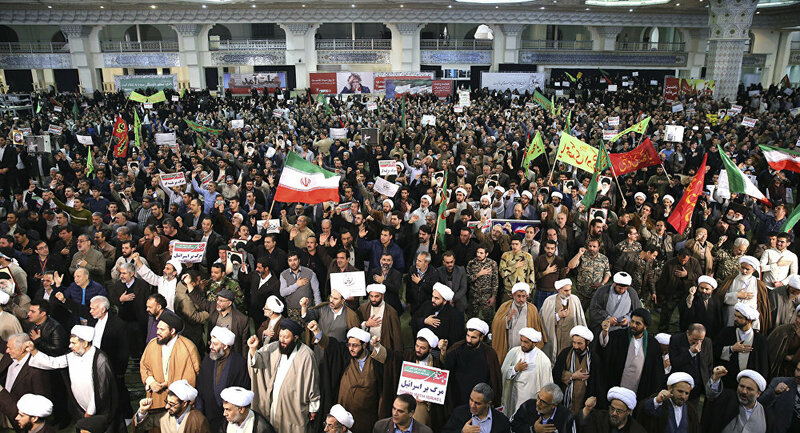 The US has taken advantage of the recent mass antigovernment protests in Iran to reinforce pressure on that country, in line with President Trump's already harsh stance against Tehran. The human-rights-based mantra being employed evokes memories of regime change in Ukraine, and the de-facto US intervention in Syria. Sputnik takes a look back at US rhetoric and actions in Syria and Ukraine, and compares them with the rhetoric being used in relation to the recent unrest in Iran. What began as a peaceful protest movement against Syrian authorities in 2011 turned into a bloody civil conflict which virtually destroyed the Middle Eastern country by 2017. Before demonstrations started in March 2011, Syrian President Bashar al-Assad had been in office for almost 11 years, vacillating between traditional one-party rule and democratic political and social reforms. While on the surface, it may have seemed that the protests were 'warmed up' by the winds of the so-called “Arab Spring,” it soon became evident that something much bigger was at play. In March 2011, Western media reported that Syrian police had arrested, tortured and possibly even killed a group of boys accused of painting anti-government graffiti in Daraa, southern Syria. The boys, it was said, were 'backing the spirit of the Arab awakening', and calling for the toppling of the 'Assad regime'. Despite Damascus's denials that the incident ever took place, word of mouth spread, and tens of thousands of Syrians took to the streets, chanting revolutionary slogans and calling for a change of power. Security forces, perhaps fearful of an Egypt or Tunisia-like regime change scenario, responded with a violent crackdown, using tear gas and water cannons and firing live rounds at protesters. By the end of March, the protests spread nationwide, demonstrators gained access to weapons, and the unrest could no longer be peacefully contained. While tensions grew, the United States was hesitant to respond to the crisis in Syria as it had in Libya. In that country, taking upon itself the “responsibility to protect” and intervening militarily, all under the pretext of an 'imminent threat of mass atrocities' against the Libyan people, Washington opened a Pandora’s Box of chaos and civil war which continue to plague the North African nation to this day. In Syria, President Obama made attempts to pressure authorities, calling on Assad to stop what he called the “abhorrent violence committed against peaceful protesters.” As protests dragged on, the crackdown intensified, and the Obama administration began lecturing Damascus from its soapbox, Obama and the State Department repeating the now well-known “Assad must go” mantra, perhaps hoping that the leader could be pressured into stepping down. When it became clear that Assad was not going to cave to street protests, or to US pressure, Obama threatened to impose “unprecedented sanctions” to “strike at the heart of the regime” and tighten Syria's international isolation. Washington made good on the promise, with Obama signing an executive order requiring the freeze of all assets of the Syrian government subject to US jurisdiction, imposing a ban on US imports of Syrian petroleum and related products, and prohibiting US nationals from investing in the country. Saying it was concerned with the security of its ambassador, the US also pulled him out of the country, adding to tensions between Washington and Damascus. 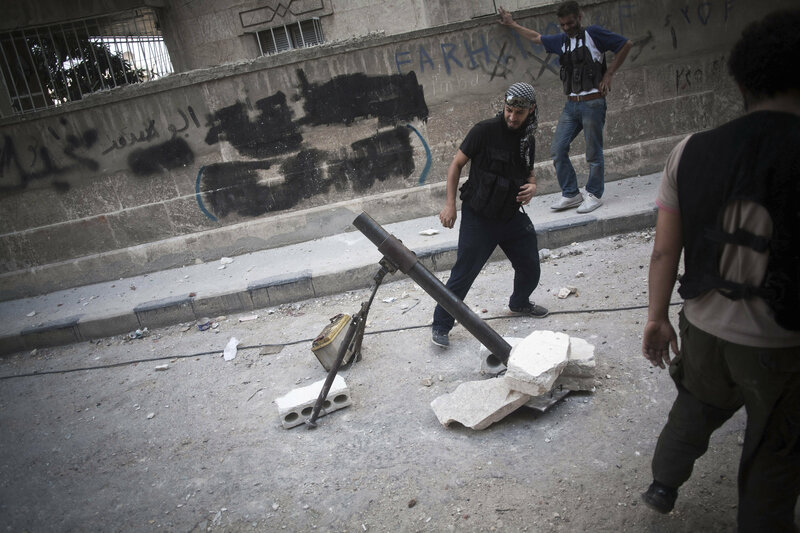 A Free Syrian Army fighter shoots a mortar against Syrian Army positions in the Izaa district in Aleppo, Syria, Tuesday, Sept. 11, 2012. In August 2012, the Obama administration warned Damascus not to use its considerable stockpile of chemical weapons against protesters. Obama took a hard line, describing the potential use of such weapons as a “red line” that could prompt the US to intervene militarily. In a fortuitous 'coincidence' for pro-intervention forces in Washington, the Syrian opposition accused Assad of using chemical weapons in March and August of 2013, putting Washington on a course to missile strikes against the country. But Syria was then saved by Russia, which, serving as a mediator, struck a deal with the US under which Washington would refrain from intervention if Damascus destroyed its chemical weapons stockpiles. While formally living up to that agreement by not attacking government forces directly, the United States made it way to Syria anyway in 2014, under the pretext of fighting Daesh (ISIS), which allowed it to deploy military bases, and conduct unauthorized airstrikes which have led to mass casualties among civilians and even the Syrian military. Through the years, the US has also supplied whom it described as 'moderate rebels' with weapons and support, despite ample evidence that these militants were little more than jihadists of a different color. The true hypocrisy of the US 'human rights' narrative for Syria was demonstrated in late 2017, after Damascus and Moscow accused the US military of providing direct support for Daesh's remnants in the terrorists' ongoing war against the Syrian government. “It is absolutely unacceptable to have Russian boots on the Ukrainian ground in the 21st century, violating all international deals and treaties,” Obama said in mid-March 2014, after Yanukovich had been overthrown in a plot supported by Washington and Brussels. Amid its threats about the 'consequences' of “Russian interference,” Washington unscrupulously forgot to mention its own meddling in Ukraine's affairs. In January 2014, following the release of a highly critical State Department report on "human rights abuses" by Ukrainian security forces against the Maidan protesters, US Vice President Joe Biden condemned "violence by any side" and warned Yanukovich against a crackdown. Biden reiterated his warning on February 20, just days before the coup, saying that the US would sanction any officials who engaged in violence, and urging Yanukovich to "take immediate and tangible steps to work with the opposition on a path forward that addresses the legitimate aspirations of the Ukrainian people." Last year, in his new memoir, Biden admitted that he urged the president to flee the country after it became clear that pro-Western forces had gained the upper hand. The US had been 'investing' in Ukraine long before the Maidan protests began, pouring an estimated $5 billion of US taxpayers’ money into assisting Ukrainians in building “democratic institutions,” This figure was mentioned by Assistant Secretary of State for European Affairs Victoria Nuland in a speech in 2014, shortly after the success of the Maidan coup. — Stephen McIntyre (@ClimateAudit) 4 ноября 2017 г. Exactly which 'democratic institutions' Nuland was referring to is hard to say, since Maidan ousted the country's democratically-elected government, replacing it with politicians who had been vetted and approved of directly by Washington and the EU. This was evidenced by the large number of European and even US-born advisers, consultants and ministers appointed to the post-coup cabinet. The Ukrainian case was a shining example of the US use of 'soft power,' i.e. the ability to persuade others to do what Washington wants without direct coercion, using cultural, diplomatic, and economic influence. Nuland's famous cookie campaign, which saw her and US Ambassador Geoffrey Pyatt treating riot police and protesters to cookies in Kiev during the protests in a demonstration of US support, was a perfect illustration of US soft power applied to Ukraine. U.S. Assistant Secretary for European and Eurasian Affairs Victoria Nuland and Ambassador to Ukraine Geoffrey Pyatt, offering cookies and (behind the scenes) political advice to Ukraine's Maidan activists and their leaders. However, the use of US soft power has led to hard consequences. The population and leaders of the predominantly ethnic-Russian Crimean peninsula, fearful of the Russophobic sentiments of the new government in Kiev, organized a referendum to break off from Ukraine and rejoin Russia. Moscow approved Crimea's decision, leading to a crisis in relations between the West and Russia. Activists in eastern Ukraine's Donbass region attempted their own breakaway, but were attacked by the Ukrainian army and ultranationalist volunteer units, culminating in a bloody civil war presently frozen in a fragile ceasefire. The US has achieved, at least temporarily, its goal of poisoning Russian-Ukrainian relations, breaking off centuries of strong economic, political, and socio-cultural ties between Moscow and Kiev. Ukraine's decision to renounce its non-aligned status and to push for NATO membership offers Russia the bleak prospect of having NATO bases immediately next door to the Russian heartland, thereby serving as a direct threat to Russia's national security and the military balance of power in Europe. Ultimately, the Ukrainian case too demonstrates that US actions, ostensibly meant to promote democracy and human rights, can factually lead to disastrous civil conflicts and geopolitical instability threatening entire continents. In the war-torn Donbass region, where upwards of 35,000 people have been killed, thousands injured and millions displaced since April 2014, the US continues to fan the flames. Last week, the State Department gave the go-ahead on the sale of tens of millions of dollars' worth of sniper systems, ammunition, parts and accessories to Ukraine, while accusing Moscow of "perpetuat[ing] an active conflict and humanitarian crisis" in the region. 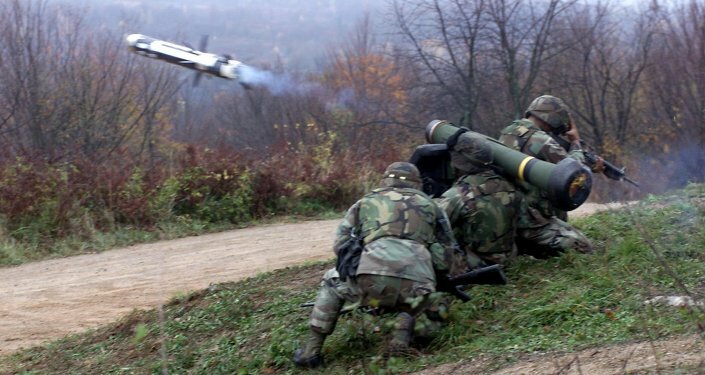 Moscow has warned that although the supply of lethal weapons to Ukraine will not change the strategic situation on the ground, it would almost certainly increase the number of victims. Iran: 'Human Rights Concerns' or (Geo) Politics as Usual? Last week, Iran became engulfed in mass antigovernment protests, stemming from a recent surge in fuel and food prices, poverty and high unemployment. At least 20 people were reportedly killed, including two police officers, and at least 450 more detained, according to media reports. The Trump administration has harshly condemned Tehran's response to the protests, echoing the Obama administration's response in the early stages of the Syrian crisis. Both presidents stated that they were inspired by the (Syrian/Iranian) peoples’ pursuit of democratic changes, and issued statements about 'oppressive regimes being unable to endure'. Washington has threatened to let loose a tsunami of sanctions against Iran, just as it had against Syria as protests intensified. The Trump administration has also vowed to hold Tehran accountable for violence against protesters, with President Trump saying Sunday that the US was "watching very closely for human rights violations." Trump was backed up by his State Department. "We have ample authorities to hold accountable those who commit violence against protestors, contribute to censorship, or steal from the people of Iran," State Department spokesperson Heather Nauert said Thursday. "To the regime’s victims, we say: You will not be forgotten," she added. UN Ambassador Nikki Haley ramped up the moral pontification at the international level, calling the protests a "spontaneous expression of fundamental human rights" and a "powerful exhibition of brave people who have become so fed up with their oppressive government that they are willing to risk their lives in protests." Ever mindful of where Washington's ostensive concern over 'human rights' often leads, Iranian officials announced that they have "hard evidence" that the protests were inspired from abroad. Gholam Ali Khoshroo, Iran's envoy to the UN, stressed Friday that protests over "legitimate grievances" had been "exacerbated by none other than the US," in direct contravention of its obligations under the terms of the Iran nuclear deal. The diplomat accused the US and European powers of encouraging violent protests, including training people to use of Molotov cocktails, and pushing protesters to stage an armed uprising. Russia and China have condemned any efforts to intervene in Iran's internal affairs. Russian UN Ambassador Vasily Nebenzya argued that Friday's US-convened emergency Security Council meeting was called under a "bogus pretext," and suggested it was meant to undermine the Iran nuclear deal, not protect human rights or the interests of the Iranian people. Conclusions: US 'Concern Over Human Rights Violations' = Code for 'Time for Regime Change'? From Syria to Ukraine, US rhetoric ostensibly in defense of human rights has often successfully pointed to the next victim of "forced democratization," by color revolution, foreign-sponsored civil unrest or even direct military interference. No region in the world seems immune from of the gaze of the world's sole superpower. Syria and Ukraine fell prey to scenarios different in their form but equally destructive in their essence. Now, Iran too is faced with US warnings about alleged human rights abuses. The question, it seems, is whether Tehran will have the political, economic and military capital to withstand Washington's probing assaults, and whether Iran's allies and partners in the region have the strength and foresight to back it up in its hour of need.